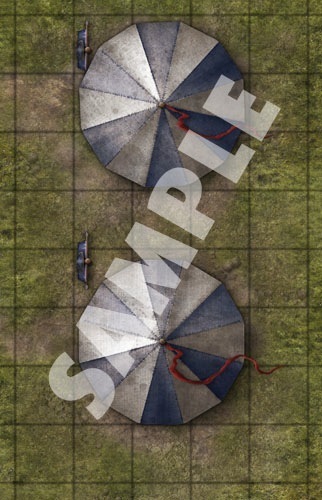 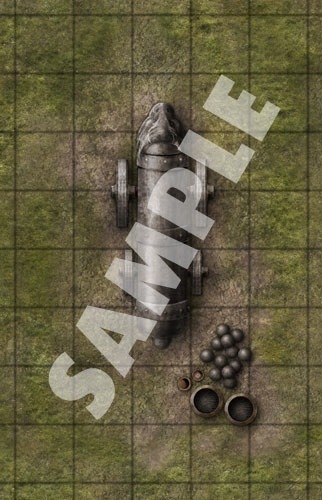 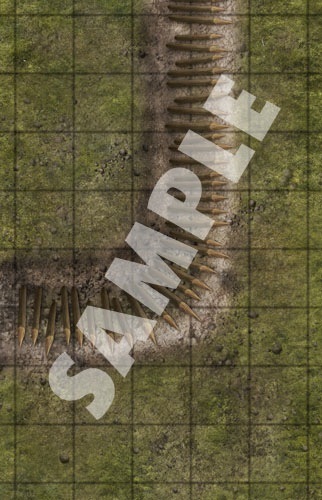 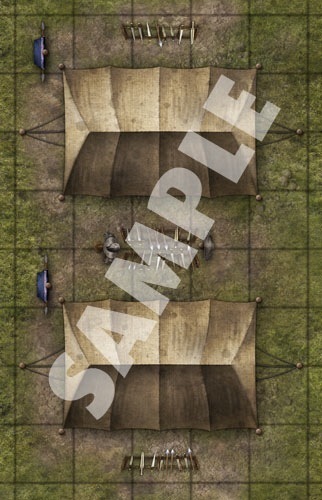 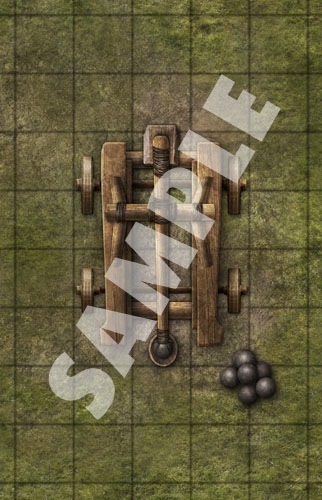 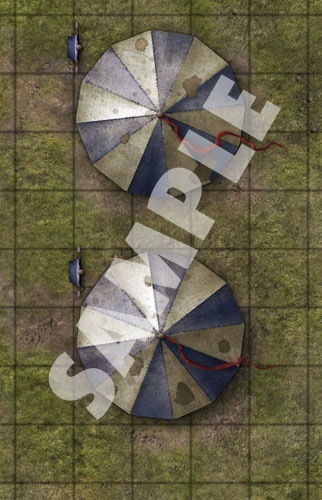 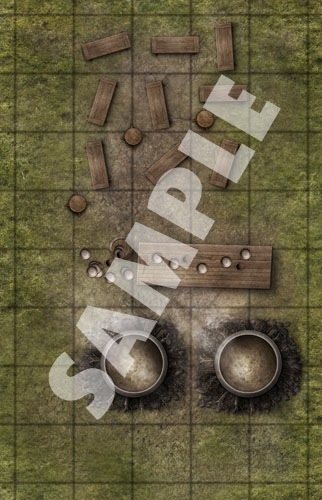 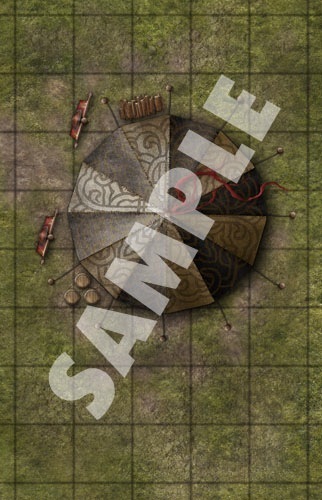 Game Masters shouldn’t waste their time sketching tents and trenches every time their players head off to war. 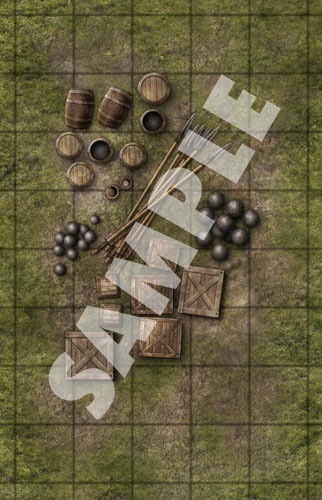 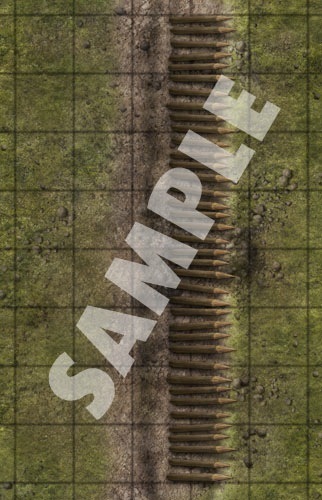 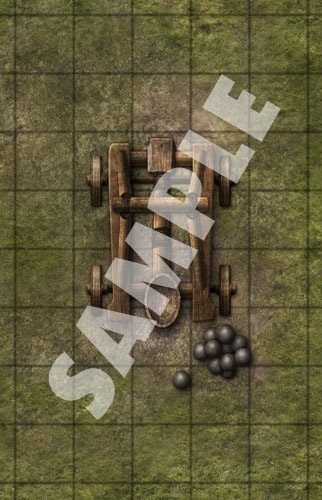 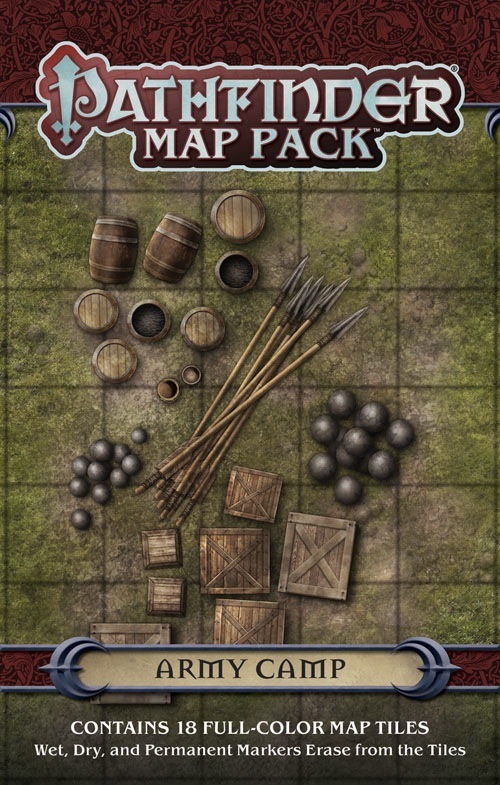 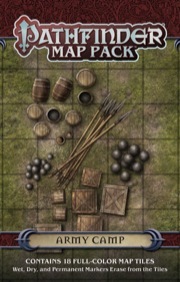 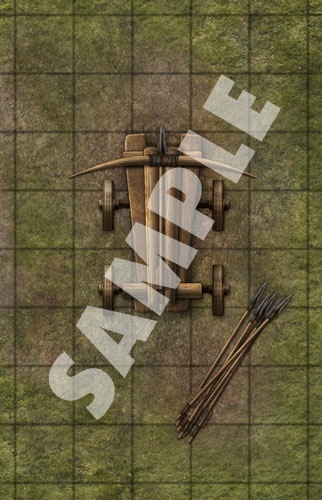 With Pathfinder Map Pack: Army Camp, you’ll always be ready whenever the call to battle sounds! 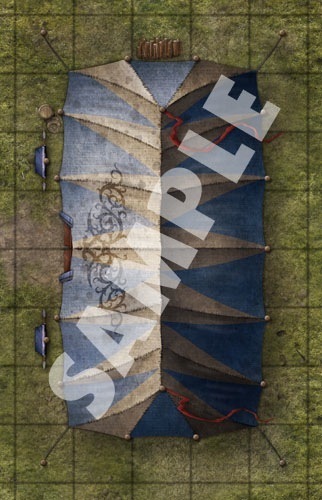 Announced for April! 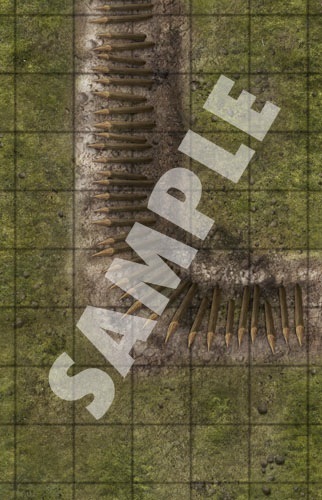 Image is a mockup and likely to change. 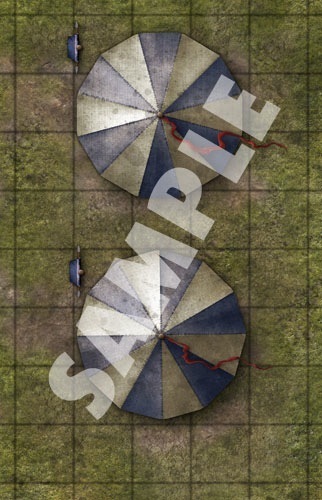 I like these, especially because they look like something you can sort of drop onto any map. 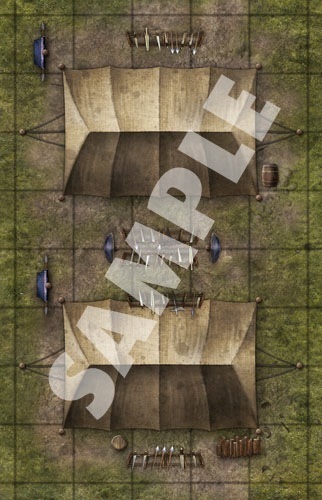 However, I wish you could see inside those tents, for when the rogue sneaks in there to steal the battle plans.